Readers of my blog know that I am not a big fish person but the one exception is salmon. I just love the full flavored taste of it and cook it often. 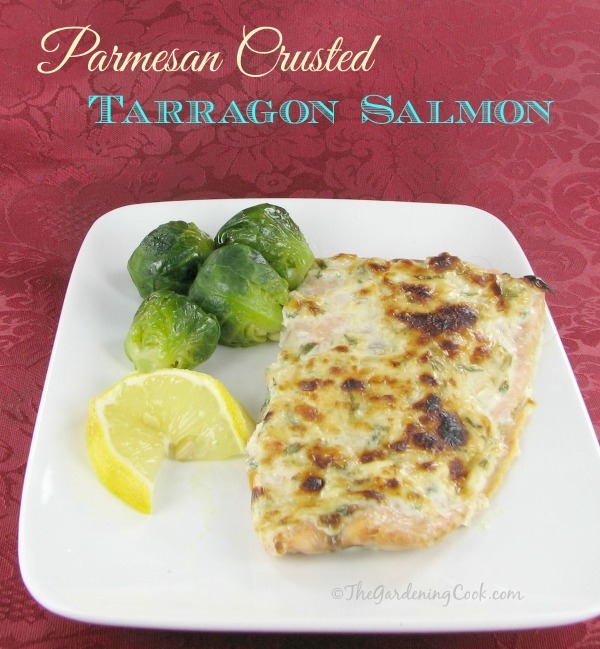 This recipe for Parmesan crusted salmon is delicious, easy to do and baked in the oven to keep the fat content down. The dish gets its flavor from a crunchy crust topping made from sour cream, Parmesan cheese, Worcester sauce, and mayo mixed with my favorite spice – tarragon which gives it a licorice flavor that is very mild but works well. The coating results in an unbelievably moist, buttery fish with all kinds of good flavors. The preparation could not be easier. 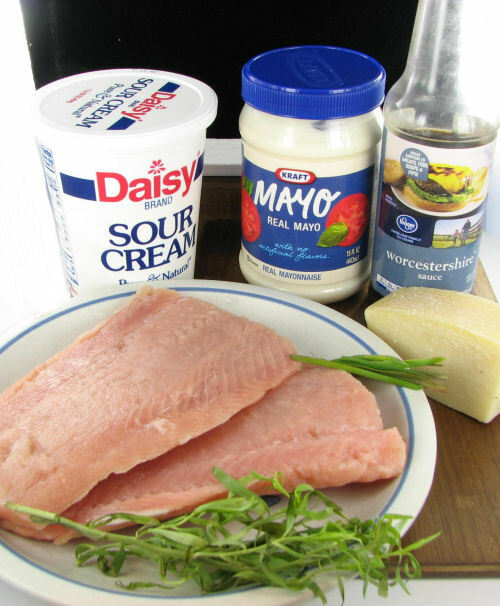 Just combine everything in a bowl and spoon it on the salmon, and spread it over the top and bake. Takes all of about 15 minutes total. But don’t let the ease of the dish fool you. It is full of flavor. Serve with a tossed salad and baked potato for a delicious and easy to make week night meal. 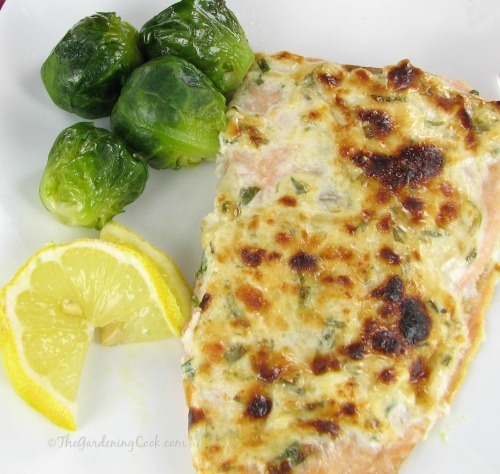 These delicious salmon fillets are crusted in Parmesan and flavored with chives and tarragon. Pinch of bottled grated Parmesan cheese. In a small bowl, combine the sour cream, mayo, Parmesan cheese, chives, Worcestershire sauce, tarragon, and pepper. 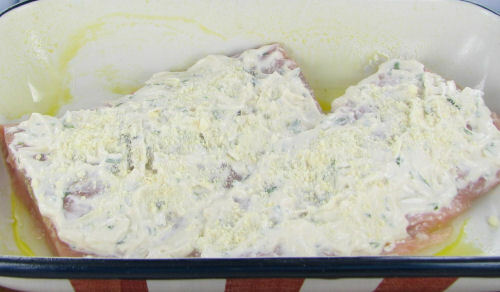 Place the salmon skin side down in an oven proof baking dish that has been sprayed with Pam cooking spray. Place on the top rack of the oven and bake for approximately 10 minutes or until the salmon is just cooked through. Cooking time varies according to thickness of the salmon.